Little Joanna Gold Option - White Metal Resources Corp. 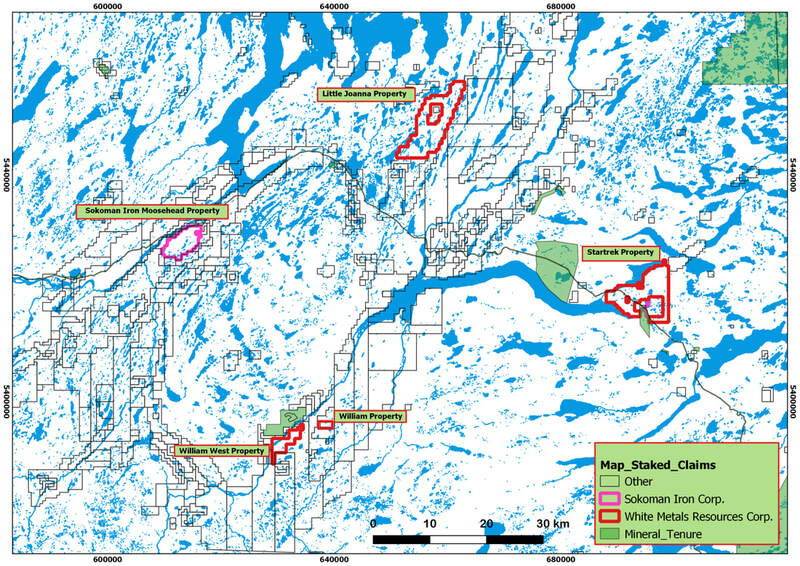 The Little Joanna Gold Property, located in the Botwood Basin of northeastern (Central) Newfoundland, was optioned by White Metal Resources (WHM) on October 23, 2018. 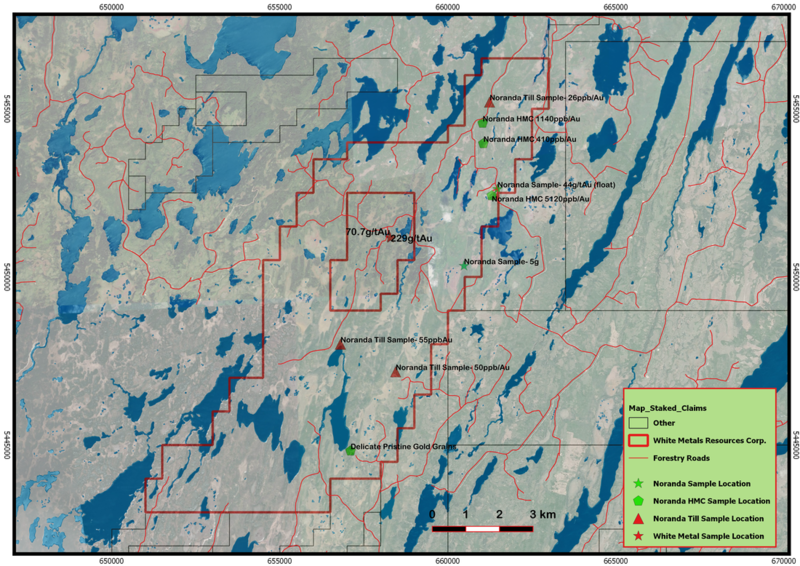 The Property, representing a new high-grade gold discovery in an area that has seen very little exploration, is about 45km northeast of the Moosehead Gold Project of Sokoman Iron Corp. (TSXV:SIC). In mid-2018, Sokoman announced their gold-bearing discovery hole (news release dated July 24, 2018) reporting a drill core assay result of 44.96 g/t Au over 11.90 metres (from 109.00 to 120.90 metres). The Property consists of 280 claim units covering 7,000 ha of which 253 claims were optioned from the Vendor and 27 claim units added in conjunction with the Option. The Property is located about 30km northwest of Gander (pop. 11,688) and approximately 25km north-northeast of Glenwood (pop. 778), northeastern Newfoundland (NTS 002E/02). Forestry access roads, from the south at Glenwood or from the north at Birchy Bay (pop. 550), can be used to access most of the Property. The Main showing at Little Joanna is located at approximate UTM 658273mE, 5451395mN (NAD27/Z21N). The Property overlies the eastern portion of the Exploits Subzone (Dunnage Zone) and is largely underlain by Early to Late Silurian siliciclastic sediments and lesser subaerial mafic and felsic volcanic rocks including the Silurian Botwood Group (Wigwam and Lawrenceton formations). The geology and northeast-trending structures are is similar to those found on Sokoman Iron’s Moosehead gold project to the southwest. The Little Joanna Main showing is a 25 to 31 cm wide compact quartz vein within a highly altered, carbonated sedimentary mélange of shale, conglomerate and siltstone. Hand trenching by the Vendor exposed the vein for a couple of metres. Fine, visible gold is observed throughout the vein and selected grabs samples by the Vendor assayed up to 734 grams per tonne (g/t) gold (Au) (23 oz/ton Au); average sampling of the quartz vein is approximately 189 g/t Au (5.9 oz/t Au.). 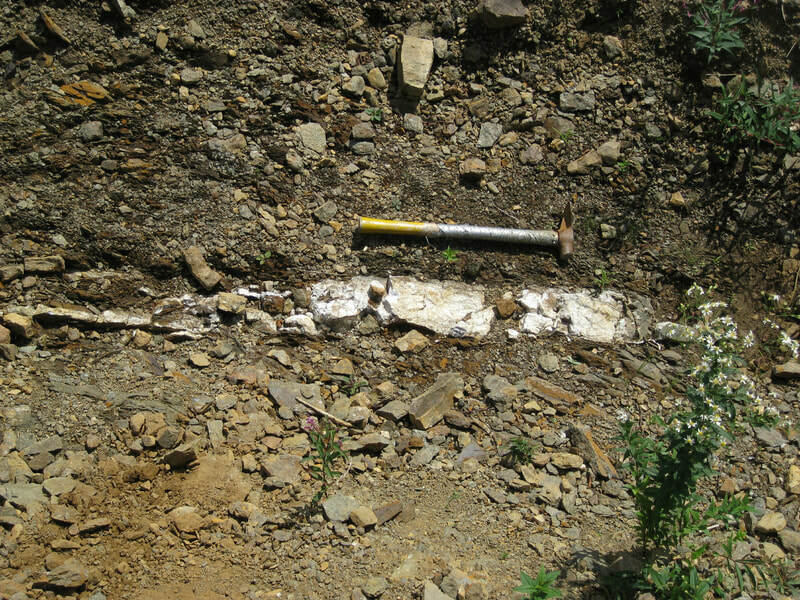 As much of the Property is covered by overburden, the Company believes that significant potential exists for the discovery of additional gold-bearing quartz veins. Besides the more recent work completed by the Vendor, Noranda Exploration conducted mineral exploration in the area around the Little Joanna Main showing (northeast and southwest) in 1988-89. 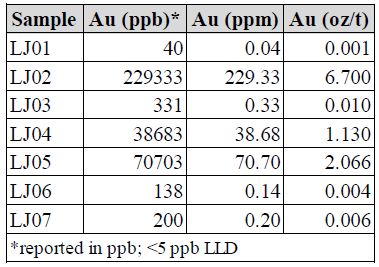 Noranda reported up to 44g/t Au in boulder samples and outlined 1.15 g/t Au and 5.2 g/t Au basil till sample anomalies; these are covered by the current claim package. 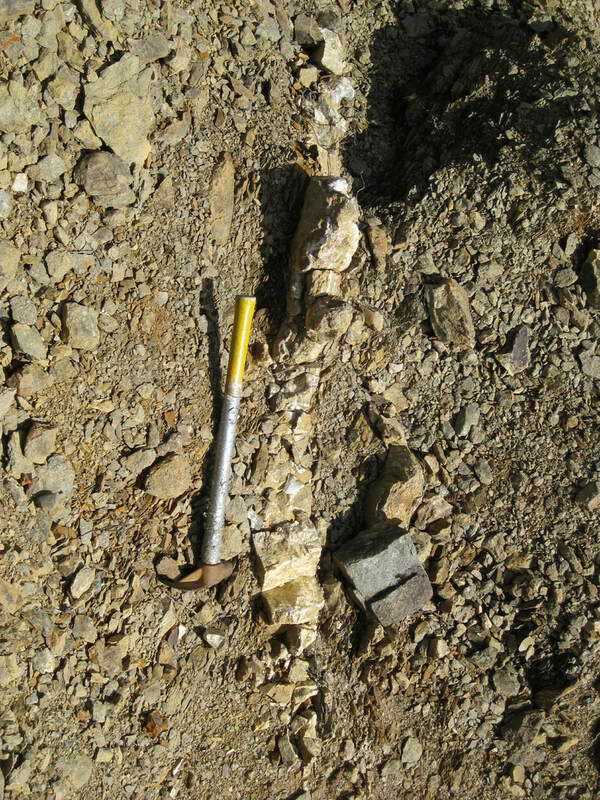 Although the Main showing quartz-vein is narrow, the grade of gold is highly significant. With little exploration, there is a strong possibility that many other similar or larger veins could occur on the Property. Recent trenching by the Vendor exposed the vein for approximately 15 metres. The main vein is covered by overburden on the northern end and is flooded on its southern end. Additional trenching 200 m northwest of the vein in an area of identical quartz rubble was unable to reach bedrock. Significantly larger, highly angular and identical looking quartz blocks with visible arsenic mineralization and lower gold grades were exposed while trenching. Coarse nugget gold was panned from quartz rubble and altered wall rock approximately 130 m northeast of the exposed high-grade vein. According to the Vendor, it appears that there are two types of veining on the Property: (1) Arsenic-rich veins with low gold grades and (2) Arsenic-poor veins with bonanza grades. Other vein systems are thought to occur along strike in the contact zone of this melange rock package The Property is wide open and has seen very little exploration work.